Referred to as rowboats by land-bound folk, a gig was easy to lower overboard, needed minimum crew, and was quick to dispatch. This lapstrake (overlapping strips of wood) gig is not seaworthy, but it most certainly looks like it! 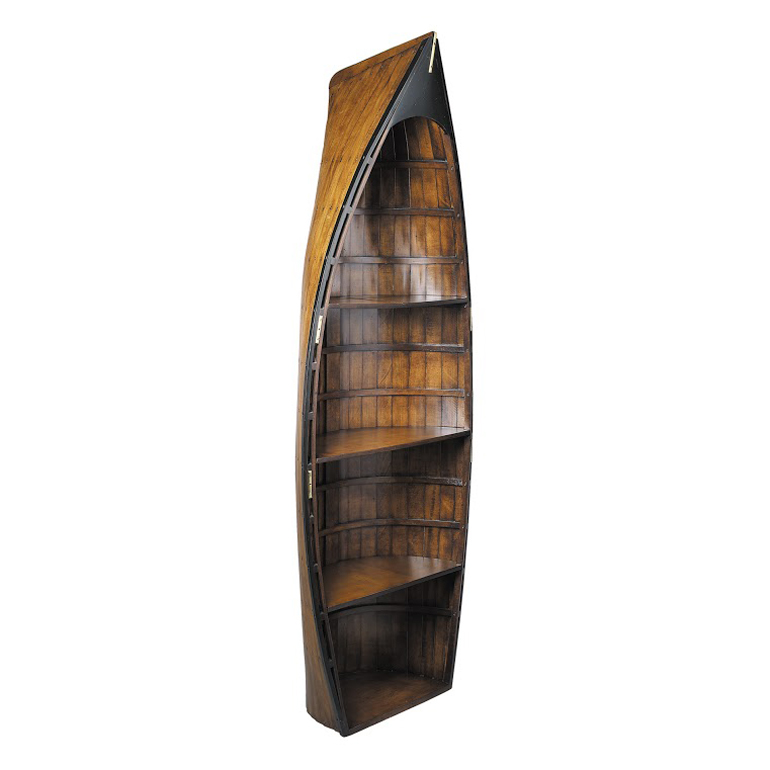 The Bosun's Gig Bookcase adds flair and atmosphere to any room. Ships from the manufacturer. Allow 1 to 2 weeks. Cannot express ship this beach style furniture. For additional pieces, we invite you to spend some time to browse our complete range of beach style cabinets at Bella Coastal Decor now.